The world really couldn’t care less. 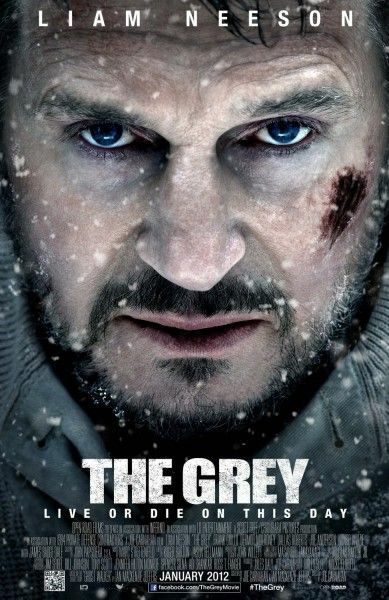 That’s the opinion of Joe Carnahan’s The Grey, a bleak and gritty look at survival in the middle of Alaska’s harsh wilderness. This is man versus nature to an extreme extent, and there exists few gimmicks. Carnahan seems to have taken a back to basics approach and delivers the goods. Considering his past few films and their loud, cartoonish ways, there is an odd confidence that the course he is on is something worth sticking with. Liam Neeson is a standout among his fellow survivors, but everything works towards a common goal that doesn’t feel hampered by conventions. While it may be bleak, the journey is entertaining because of all the surprises and the sheer quality of the product. Hit the jump for my full review. Drillers in the middle of Alaska are on their way back to Anchorage for a journey home or the next tour of duty, but that all goes terribly wrong. The crew’s airline crash lands in the middle of Alaska with little hope of rescue, and things are about to get a whole lot worse. Ottway (Neeson), who had been tasked with keeping the wildlife away from the drilling site, rounds up the other survivors to find the best course of action. The bodies strewn across the crash site have attracted the attention of wolves, and they slowly realize their best hope is to get out of the area. 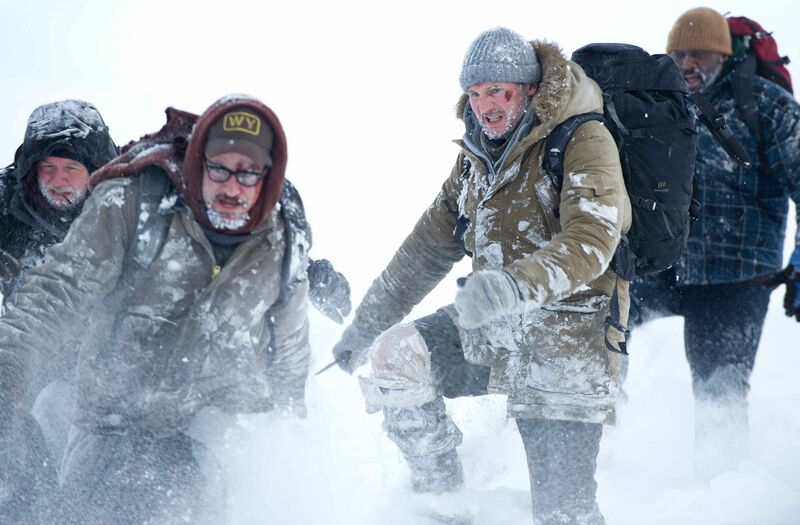 Unfortunately, Mother Nature is an unrelenting beast and the crew are pummeled by wolves, the cold, and even the human flaws of self-doubt and in-fighting. While rescue is their goal, survival becomes the biggest hurdle. Carnahan, working off a screenplay by Ian MacKenzie Jeffers and himself, manages to add touches of high production to various portions of the film. The plane crash in particular utilizes various quick cuts and flashbacks that also crop up at other key moments. Additionally, the crew made the most of a harsh Canadian location as a stand-in for Alaska. Ottway and his band of survivors are shown from far distances and are nearly imperceptible through the blinding snowfall. This all heightens the constant remark that they are on their own and that no one is going to come and save them. That domineering theme is acted out in various ways. The wolves. Oh, the wolves. Ottway admits to being scared in a quiet moment, and calls out a fellow survivor (Frank Grillo) for acting tough. There are signs that a battle will occur for the alpha male position in the group, and it’s a quiet reminder that their survival will not just depend on them fending off the wolves and the weather. Inner turmoil in a group so small is a recipe for disaster. The wolves always outnumber the humans and stalk them, day and night. If you fall back from the group, say goodbye. That includes potty breaks. They stand as an obvious example of creatures without opinions. They have evolved predatory instincts for thousands of years. The survivors put up a brave front, but sharp sticks and fire only gives one so much confidence. So there are inevitable encounters. 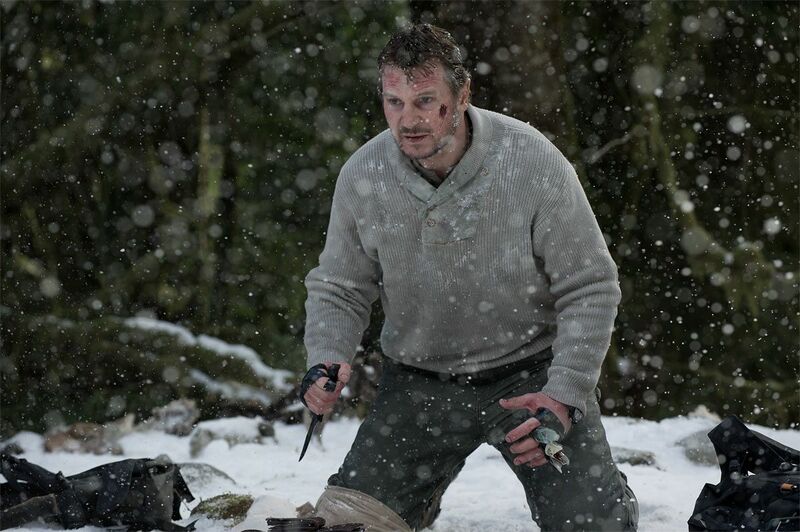 Characters in a lot of survival films often go out in a blaze of glory. This is a common theme and sometimes it’s done in an effort to heighten the loss. Yet, The Grey proves that an opposite approach can work even better. Here, the survivors are hunted by wolves that have little concern for a glorious death: as soon as they can, they maul their victim and it is simply over. I often felt that someone would survive. That the others would double-back and fend off the wounded. Yet again and again, it simply didn’t play out that way. The loss was instead played up in a brief moment by the remaining survivors, but they were rarely given time to mourn for long as they had to continue forward. This uncaring and bleak loss of life hit home and I could feel the mood in the theater slowly become despondent. You could feel the final showdown approach and it proved to be a divisive finale. Carnahan has managed to deliver a bleak, powerful story that at times wants to focus on character and other times finds happiness in maulings. The wolves are treated as merciless, but always acknowledged as a force of nature. There are moments of quiet discussion and Grillo’s character in particular has a complete arch that doesn’t feel overdone. Religion and faith become major players later in the film while they are relegated to a limited undertone in the first half. There is certainly action throughout the film, but I would hesitate to call it an action film. The Grey is perfectly happy at playing to the strengths of despair, even if that leaves you out in the cold.